It’s finally happening and we couldn’t be more excited! After months of crafting the perfect menu, choosing impeccable wines, finding the right chef and getting all of our certifications in order, we are ready to officially open the doors of J. Paul’s. From the get-go, our vision for The Kirby always included a gourmet restaurant and wine bar for hotel guests, visitors and locals. We wanted to offer Saugatuck-Douglas a welcoming place that had all the charm of small-town Michigan and all the culinary sophistication of the big city, and we think we’ve done just that. To celebrate, we’re hosting an exciting grand opening event complete with wine tastings, live music, celebrity guests, and an unforgettable meal…and you’re invited! On Saturday, May 2 please join us for a very special evening at J. Paul’s. The party will kick off at 4 o’clock with a ribbon cutting ceremony with special guest, Max Adler of Glee and Switched at Birth fame. Next, we’d like to show our gratitude to all of our friends, guests and supporters by hosting a cocktail party with complimentary hors d’oeuvres and wine tasting with sommelier, Mindy Trafman. Mix and mingle from 4-6 while you enjoy food, drink and live music from Michigan singer Julieanne Howe. And that’s just the start! 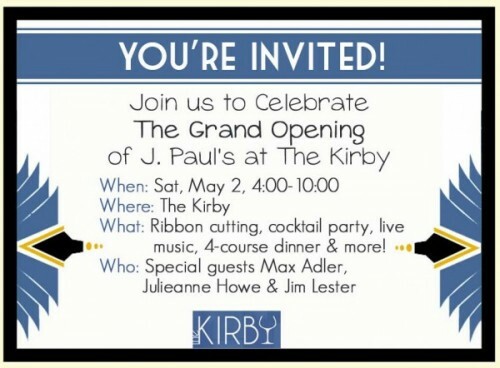 For those who’d like to stick around and get the full J. Paul’s experience, we’re offering a prix fixe 5-course meal prepared by Kirby chef Jason Knickerbocker for $100 per person. And it wouldn’t be dinner at The Kirby without vino – the meal includes expertly paired wines brought to us by Southwest Michigan’s premiere winery, Wyncroft wines. Along with dinner and drinks, you’ll also enjoy an exclusive education on wine from Wynecroft’s master winemaker Jim Lester. 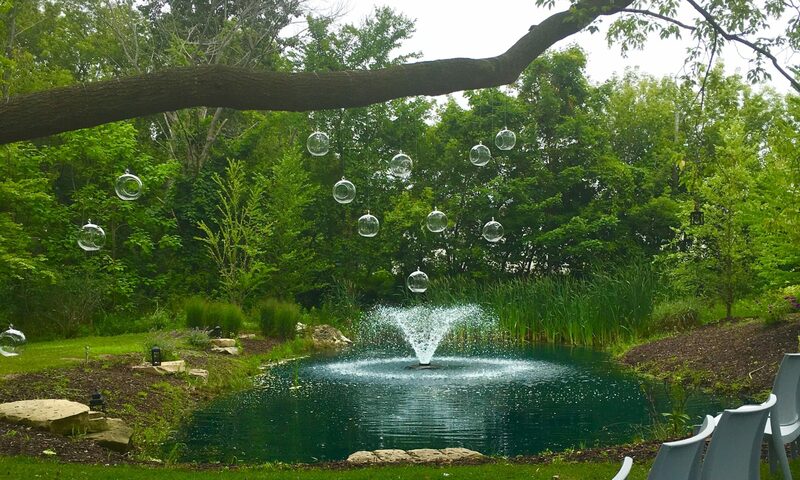 If you’re coming in from out of town, we recommend reserving a guest room at The Kirby and spending a full weekend enjoying the beauty of spring in Saugatuck-Douglas. We are so pleased to be launching J. Paul’s and hosting this sensational event and we sincerely hope that you’ll join us! Contact Mindy at 269-857-5472 for more info and to book your spot for the dinner and a room.